Coach Kramer is a 1993 Graduate of Bryant High School and then went on to receive his BSE from Henderson State University. He is beginning his 20th year of Coaching Football and Baseball. He has been fortunate to coach in a State Championship in both Football and Baseball. In Baseball, he has coached in Xtra-Inings All Star weekend as well as the Metro All Star game and led teams to a state runner up, 2 semifinals appearances and 3 quarterfinals appearances. In Football, he has had the opportunity to coach on ESPNU in a High School Showcase as well as ESPN All American game as the running backs coach. 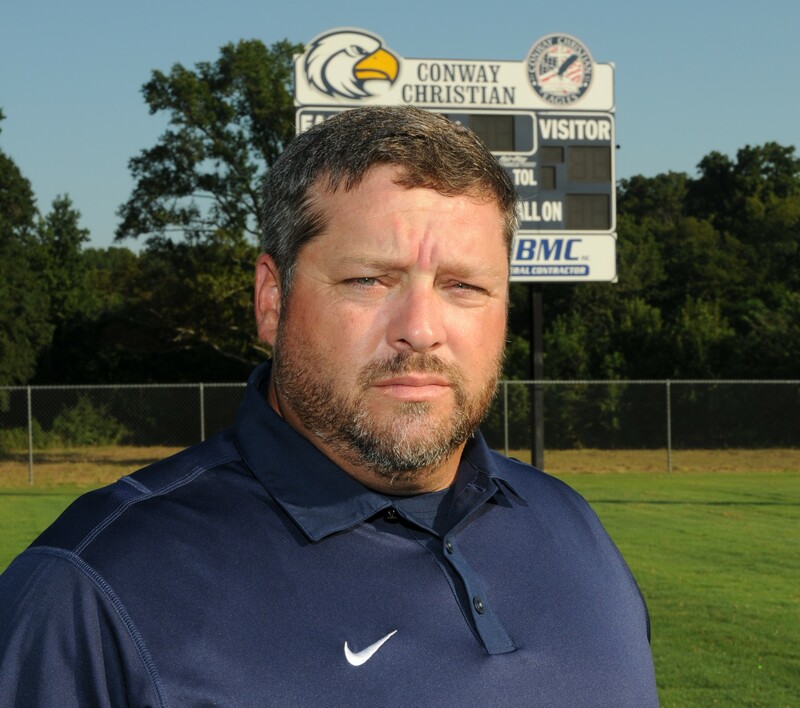 He helped lead the Eagles last season to the best single season record in Conway Christian History while posting almost 42 points per game on offense. He is married to his wife Jill of 18 years and has two children in high school, Jayla and Jace grade.